Driverless minibuses will begin taking passengers in the eastern French city of Lyon at the weekend in a year-long experiment that officials are calling a “world first”. The two electric vehicles, fitted with high-tech equipment including laser sensors, stereo vision and GPS, can ferry around 15 passengers at a top speed of 20 kilometres an hour. The initial route in the heart of the city will last 10 minutes and include five stops. Manufactured by the French firm Navya and costing €200,000 ($225,000) apiece, a prototype was tested in 2013. The minibuses have already been tested in other French cities as well as in Sion, Switzerland, but without carrying passengers. 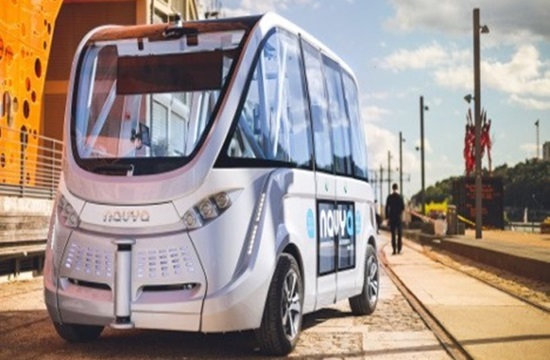 Driverless electric minibuses made by other companies have also been tested in the western French city of La Rochelle as part of a European experiment. The first city in Europe to introduce the driverless bus was the Greek city of Trikala about 5 months ago.